The story of the Yasutsugu (康継) lineage starts with the birth of the first generation, Ichizaemon (市左衛門) , who born around the middle of the sixteenth century. His place of birth was in Shimosaka of Shiga-gun in the province of Omi. Omi is next to Mino and contains Lake Biwa. Yasutsugu (康継) was born into a sword making family headed by his father, Hironaga (広長), who was reputed to be the last descendent of Yamato no Kuni Senjuin (大和国千手院). Though his father was from Omi, he was trained in the Mino (美濃) tradition. Yasutsugu’s (康継) early training was in the Senjuin (千手院) style of Yamato (大和) as well as the Mino (美濃) tradition. His first signature was Echizen Ju Shimosaka (越前住下坂). Later he started experimenting with the Soshu (相州) tradition and he became adept in all of these traditions. During Bunroku (1592-1596) he received the title of Higo no Daijo (肥後大掾). About this time or around the beginning of the Keicho era (1596) he moved to Echizen Province and settled in Fukui. Throughout Japanese history, many swordsmiths flourished when they came under the patronage and protection of the local feudal lords. 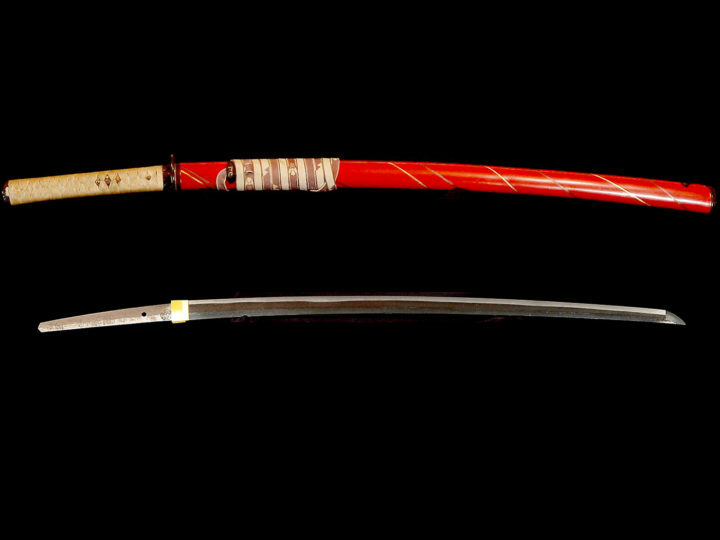 Yasutsugu (康継) was one such swordsmith. Whether by chance or intent, he became noticed and supported by Matsudaira Hideyasu (松平秀康), who was the third son of Tokugawa Ieyasu (徳川家康). Hideyasu (秀康) was the daimyo of Echizen province and as such was in a position to be of great help in spreading the fame of Yasutsugu (康継). As has often been the case throughout Japanese history, and world history in general, whom one knows is often as important, or more important, that what one knows. 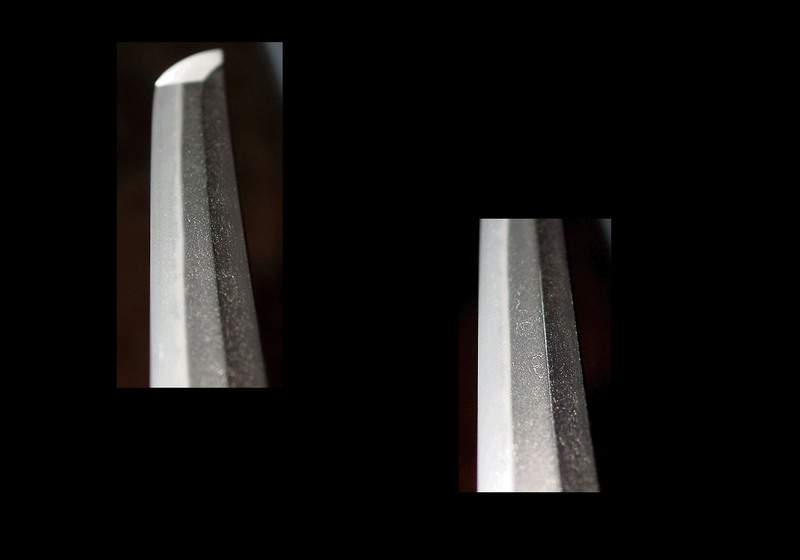 There were several contemporary swordsmiths of greater skill than Yasutsugu (康継), i.e. Umetada Myôjyû (埋忠明寿), Hankei (繁慶), and Horikawa Kunihiro (堀川国広). Because of the patronage of Matsudaira Hideyasu (松平秀康), however, Yasutsugu (康継) came to the attention of Tokugawa Ieyasu (徳川家康) and Tokugawa Hidetada (徳川秀忠), the first two Tokugawa Shoguns. By the fifth year of Keicho (1600) Yasutsugu (康継) was well established in Echizen. 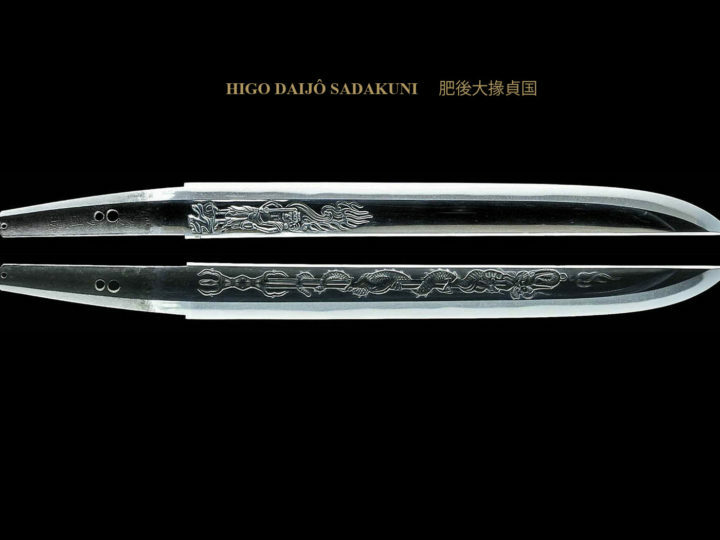 His patronage by Hideyasu (秀康) secured his livelihood and allowed him the freedom to produce swords in a variety of styles. About this time, using the Echizen (no) Kuni Shimosaka (越前国下坂) signature and the Higo (no) Daijo Fujiwara Shimosaka Echizen (no) Ju (肥後大掾藤原下坂越前住) signature, he began to produce utsushi-mono (reproductions) of famous Soshu-den works of Masamune (正宗) and Sadamune (貞宗) as well as Awataguchi Yoshimitsu (粟田口吉光) and others. Around the 11th or 12th year of this same period of Keicho (1606-1607), Yasutsugu’s (康継) fame reached the point that he was called to Edo (Tokyo) to share his skills with Tokugawa Ieyasu (徳川家康). About this time Yasutsugu (康継) was given the privilege of using the character, Yasu (康), from Tokugawa Ieyasu’s (徳川家康) name. Thus he changed his name to Yasutsugu (康継) from that point on. About the same time (some feel that it was a few years later) he was given the additional privilege of carving the Hollyhock crest (Aoi mon) on his blades. These privileges were given in perpetuity to Yasutsugu (康継) and his descendants. Thus Yasutsugu (康継) and his descendants became the kaji of the Tokugawa Family (徳川系). 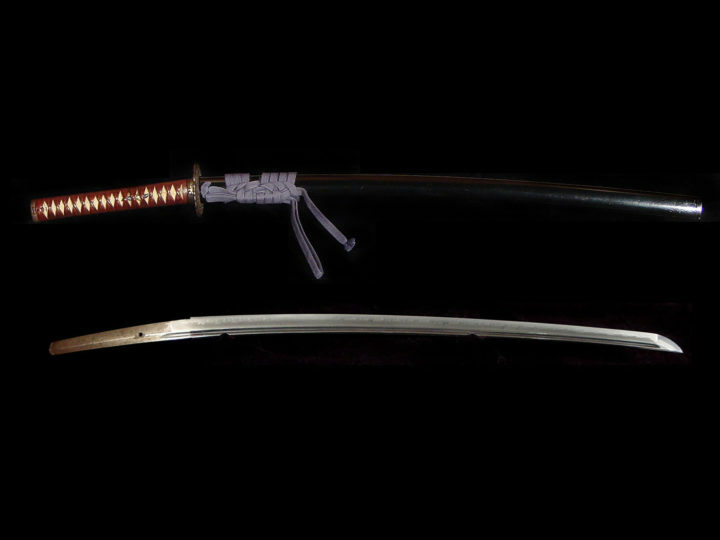 Nidai Yasutsugu (二代康継) made swords in the same style as the first generation. Some say that his ability was nearly the equal of his father’s. While all do not agree, there seems to be a consensus that he was without a doubt a close second and certainly the best of the generations to follow the shodai. 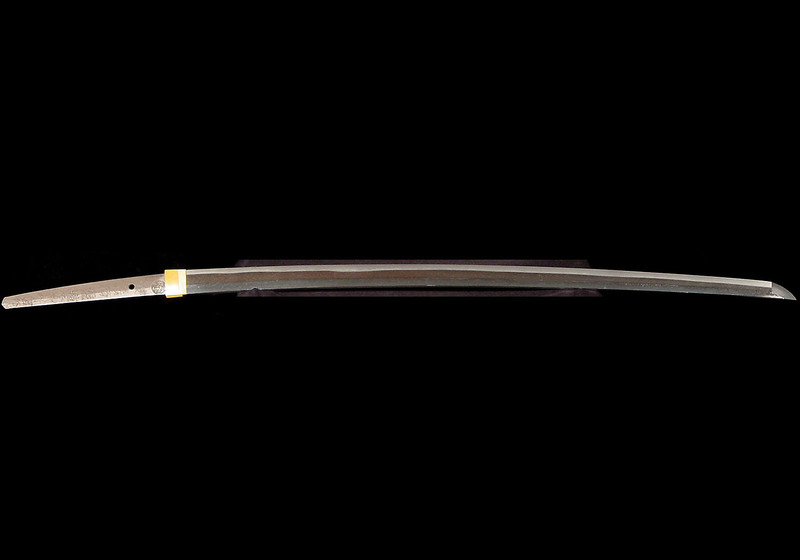 The Nidai made swords until the second year of Shoho (1645) and he died on February 15 of the third year of that same era (1646). His death caused a rift in the family that was solved in a most interesting manner. At the time of the death of the Nidai Yasutsugu (二代康継), his son, first called Umanosuke and later Ichinojô, was still too young to assume the succession. Despite this fact, the students of the Nidai and the Shogun’s Arms Office supported him for the succession. The younger brother of the Nidai, who was the third son of the Shodai Yasutsugu (初代康継), opposed his succession. His name was Shirouemon and later, Ichiuemon. He lived and worked in Echizen. The dispute was handled in a most unusual manner. It was decided that there would be two Sandai Yasutsugu (三代康継). Umanosuke would assume his father’s mantel and become the third generation Yasutsugu (江戸三代康継) working permanently in Edo, while Shirouemon would remain in Echizen and become the Echizen third generation (越前三代康継). Thus from this point onward two things happened. First the practice of alternate years service between Echizen and Edo was permanently ended. Second, the Yasutsugu (康継) lineage of swordsmiths was split into two distinct branches, the Edo branch (江戸) and the Echizen branch (越前). 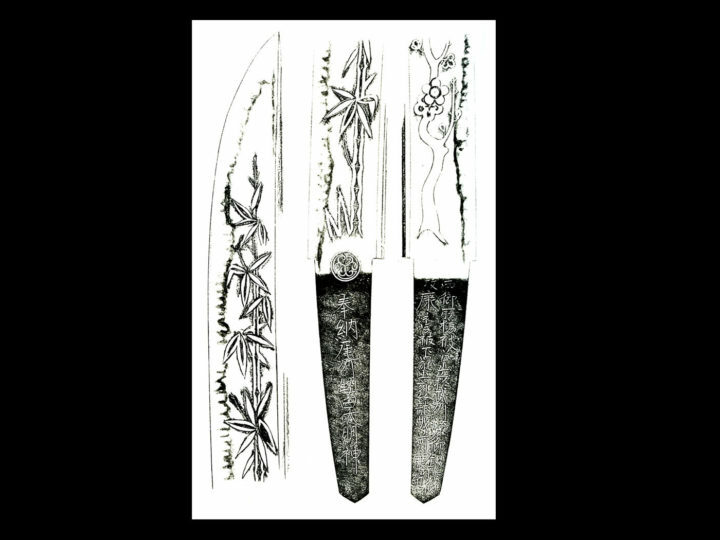 Though the work of the Edo Sandai Yasutsugu (江戸三代康継) resembles that of the first two generations, his jitetsu can tend toward a very fine mokume and his hamon can become exuberant. 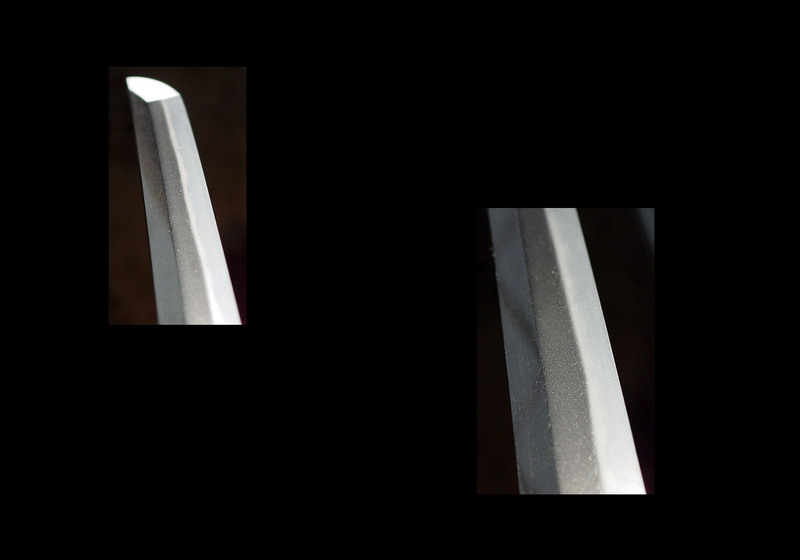 Though his work is generally thought to be inferior to the first two generations, some of his finer swords are considered by some to be very close in quality to the earlier generations. Like his grandfather he was skilled at saiha (re-tempering) and he re-tempered many fine blades that had lost their hamon in fires. 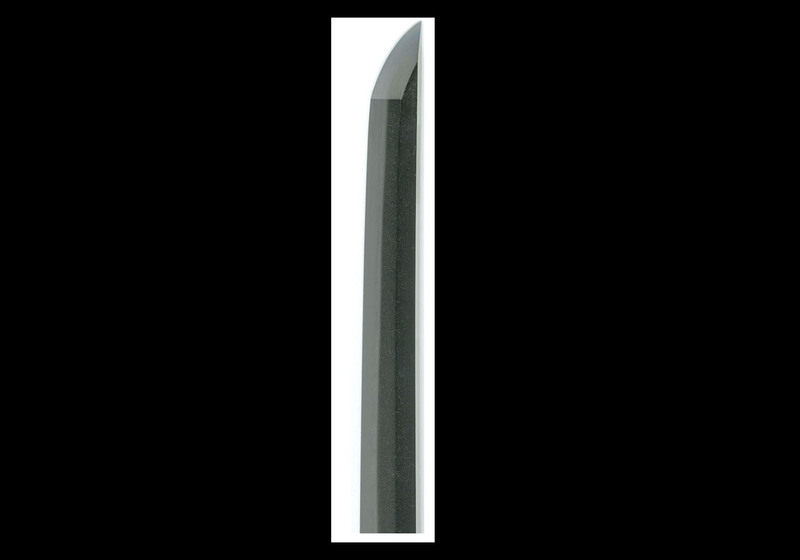 SUGATA: Edo Sandai’s blades are typically of a Kanbun Shinto shape with a noticeable taper from the moto-haba to the kissaki-haba. 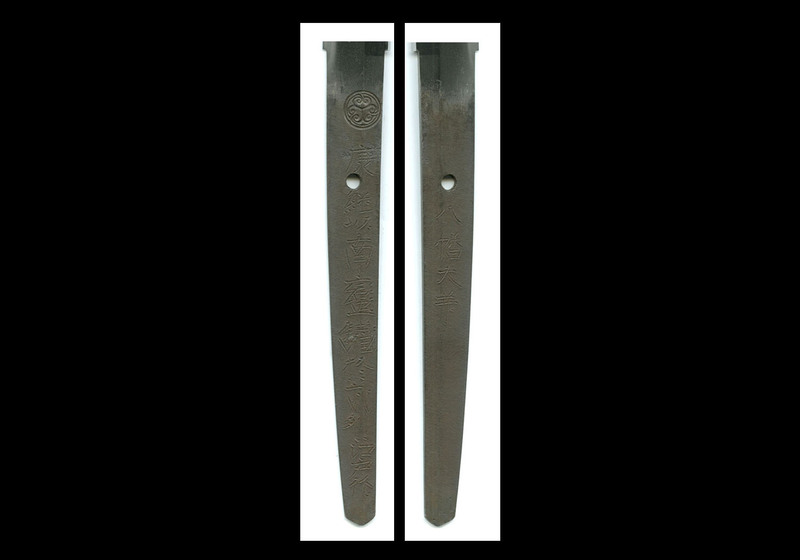 The blades have an average width and modest torii sori. The kissaki is chu-kissaki and tends to be slightly smallish. (Echizen-gane). It is itame (wood grain) mixed with mokume (burl grain) with the presence of masame (straight grain) above the shinogi. The tendency toward more ko-mokume hada can be seen, however. The kitae is sprinkled with ji-nie and exhibits dark areas of a blue tint throughout the steel. There is also a tendency to exhibit shirake (white patches) in the steel surface. These are the characteristics of Echizen-gane. HAMON: The hamon of the Edo Sandai is like that of the first two generations. It can run the gambit from reserved to exuberant. It tends to have a nie-covered habuchi (border between the ji and the yakiba), sunagashi and a thick nioi -guchi. BÔSHI: Differs from the first two generations in that the yakiba in the bôshi is suguha (straight) while theirs tends to be irregular. NAKAGO: Tends to be the same as the first two generations. The jiri is found in both kuri (chestnut-shape) and kengyo (v-shape). Yasurime are katte-sagari (slightly slanting). KANTEI POINTS: The sugata points to Kanbun Shinto. The jigane is typical Echizen hada with ko-mokume mixed with ko-itame and masame in the ji. There are dark spots in the hada and areas of shirake. This points to the Yasutsugu school and the Kanbun sugata points to one of the third generations. Either Edo Sandai or Echizen Sandai would be a good kantei.